The Adventures of Maeve Queen: Buried Treasure! Arghhh me hearties, what's this that's been dredged up for the depths of my aunt's cave of wonders? 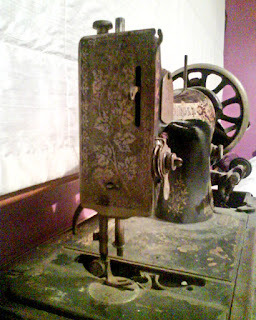 Only a Singer Sewing Machine! Well! Ok, to be honest, she gave it to me ages ago and I said, wow I love it, and then put it away, never to be seen again until now... because, as I've already mentioned, I can only really stitch things back together, not really sew things. However, inspired by my new sewing kit, I have salvaged it from the wreckage and am going to clean it up, get it fixed and make something from scratch! Madness. I must get some parts though so don't expect an immediate ball gown or anything! P.S. it's 106 years old and was made in Elizabeth in New Jersey! I love that the internet could find that out for me! oh, beautiful! 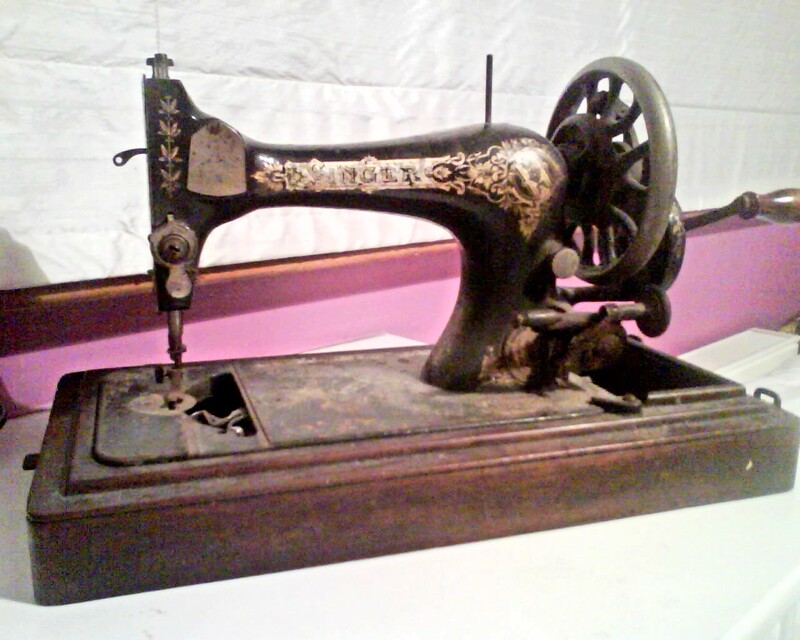 she's beautiful -an inspiration to learn to sew if i ever saw one!